Help your kids create their own totally tubular racetrack! Use recycled materials, like paper towel tubes and an open space of wall. They can race Matchbox style cars or little balls. This type of child directed fun allows kids to experiment with geometry, physics, fine motor skills, planning and decision making, and even cooperation. For play all summer long, help your kids build their own Foosball Table! If you have a Summer Playcation Kit, this is your first project in the Kit. > Click the link to assembly direction. This project encourages creativity, imagination, and utilizes math skills like measuring spatial relations, and cause and effect. Click the link to assembly direction. Do your kids need a piggy bank? They can create their own bank using recycled materials. It’s a great place to save money. Creating a piggy bank uses creativity and imagination. Saving money in the bank allows kids to practice counting and delaying gratification. Vroom, Vroom! Have your kids create a recycle racer out of plastic caps and paper tubes! It can be as fancy or simple as they would like. Follow the link for directions to one style. A project like this fosters skills like creativity, dexterity, measurement, hand-eye coordination, graphing, prediction and the workings of simple machines. Take the kids for a splash in the town pool located at 19 North Main Street, behind the Lamagna Center. It costs $.50 per child, $1.00 per adult, or $2 for the whole family for the day. Swimming is an important life skill that can help keep your kids safe. It’s also great exercise and super, splashy fun, especially on a hot day! Help your kids create a skateboard for their favorite Sleepy Buddy. Click the images for directions. Constructing a wheeled “vehicle” gives kids experience building and using simple machines like axles, wheels and ramps. Teach your family a new style of Tic-Tac-Toe. ACHI is believed to have been created in Ghana. If you have a Playcation Kit, there is a bag of bottle caps in it for this game and other activities. Learning and playing a new game helps kids practice following directions, following rules (not necessarily the same thing,) encourages decision making, conflict resolution skills, planning and prediction. Have your kiddos create a sculpture of their very own using clay. The Playcation Kits have a clump of potters clay which will air dry in time – maybe a week. But you could make playdoh style clay using supplies you might have around the house, or you can purchase many different types of inexpensive clay. Sculpting encourages kids to think creatively, plan and bring their vision to life. It also gives them a chance to practice perseverance. Stop by the KITE booth at Enfield’s 4th of July Celebration! We’ve got loads of playful goodies for your kids to choose from. Play lets kids practice all sorts of academic and life skills. Our Play Ambassadors will be able to tell you more with examples your family can take home. While supplies last, of course. Help your kids build a hand-launcher and see how many things they can capture in a bin. Follow the link to the direction page. In addition to construction work, a hand-launcher like this gives kids a chance to practice hand-eye coordination, gross motor skills, measuring and problem-solving skills. Have the kids make a musical shaker! If you have a Playcation Kit, in it there is a plastic egg for this purpose. Put a few beans or rocks inside and tape it up. Another option is to use recycled water bottles. Put a handful of different things inside and see how they sound differently. Using a percussion instrument like a shaker allows for practicing music fundamentals, creativity, gross and fine motor skills, problem solving, and counting. 15 07/11/18 Got a sheet or two? Tell the kids to grab some furniture and make a fort! Use lots of pillows to make it comfortable and curl up with a good book or play a board game together! There are some extra clothespins in the Playcation Kits to help out. As a bonus, the Play Lab is open at Stowe (117 Post Office Rd.) today from 10:00 – 11:30. Come on down and experience this incredible play space right here in town! If parking is a challenge, there is a lot in the back of the building. You’ll want to walk around to the front and use Door 25. A project like this one uses imagination and creativity. It also fosters dramatic play and role playing. We have a Play Event today! Join us at the Stowe Early Learning Center (117 Post Office Road) for our Children’s Book Swap! Bring a book you no longer want and receive a “Book Buck” to redeem for a new summer read! We’ve got some fun activities planned too. Reading is the key that opens up so many of life’s doors. Helping your kids develop a love of reading is a wonderful gift. 21 07/17/18 We have a Play Event today! Bring the instruments you’ve made over the last few days to our Pop Up Parade. If you didn’t make them, or want to try again, we’ll have materials available at 1:00pm on the Town Green. Being in a parade, even a small one, gives kids the chance to shine in the spotlight while surrounded by friends. It’s good practice for being in front of a crowd, as well as good exercise. 24 07/20/18 Visit one of Enfield’s Libraries and check out a book or audio book for the family to enjoy together! As a bonus, the Play Lab is open at Stowe (117 Post Office Rd.) today from 10:00 – 11:30. Come on down and experience this incredible play space right here in town! If parking is a challenge, there is a lot in the back of the building. You’ll want to walk around to the front and use Door 25. Enjoying a story together gives kids a chance to practice holding different ideas in their head at the same time, learn about different times, places, cultures and people, and gives the family a quiet opportunity to bond. 28 07/24/18 Bubbles! Grab the kids and your favorite bubbles and get outside for some fun! Enjoy experimenting with different items around the house to see what unexpected “bubble wands” you all can find. Don’t have bubble solution at home? Add liquid soap to water! Helpful Hint: when you stir in the liquid soap go slow so you don’t create foam! They are fun, easy to use, and ever-changing. There are many science proponents to playing with bubbles..investigating, discovery, experimenting, comparing, observation. 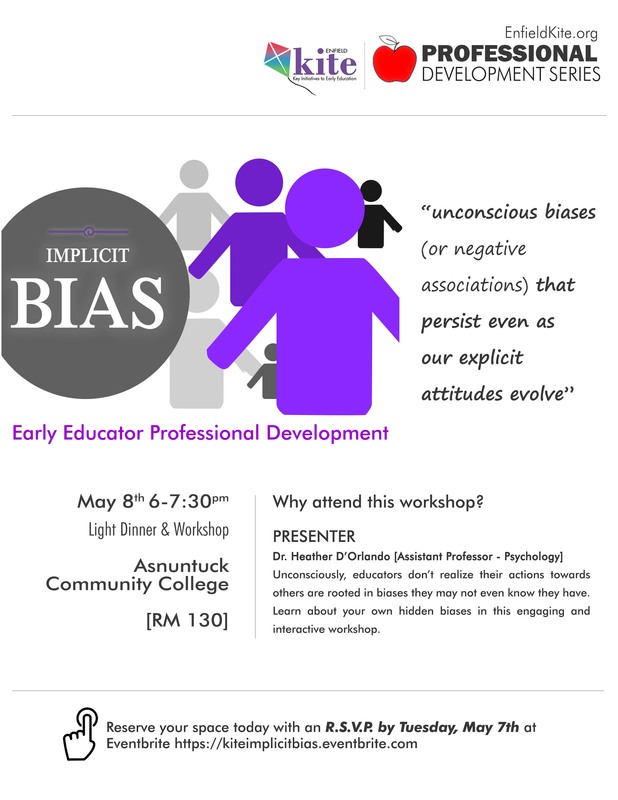 They help children develop self-concept as they learn about themselves and the world around them. Language and literacy improves as they use new words to describe what they are doing with the bubbles, explain, and record their bubble finding (experimenting). 29 07/25/18 Today’s playful idea is The Battle of the Rapunzels. If you have a Playcation Kit, there are 3 Rapunzel LEGO sets in it. If you don’t have a kit, come on down to the Enfield Farmer’s Market. We’ll be there from 4-8pm. Either way, see what your kids can build different from instructions when they combine the sets. If you come to the Farmer’s Market, you can take your creations home, for free! Building with bricks lets kids be creative while practicing engineering skills. It’s great to be able to logically follow the instructions, but it’s also wonderful to be free from directions and build whatever you choose. 31 07/27/18 Have the kids investigate the yard using a magnifying glass like the one the Playcation Kits. What kind of bugs can they find? What flowers do they see? Investigating is a form of critical thinking in its own right, but playing this way will encourage kids to explore nature. It also is open-ended play which will foster imagination an. 32 07/28/18 This one requires a little prep time, so if you do that now, your family should be able to partake in the fun activity this evening or tomorrow. Create a Polar Excavation by freezing a few small toys in ice. When it’s solid, let the kids figure out how to free their treasures. This is sensory play, fun for all ages, but particularly important for infants and toddlers. It’s imaginative, fosters language development, fine motor skills and discovery of how the world around them works. 33 07/29/18 Have the kids help you set up a fancy meal. Set a table and use the fancy china if you have it. The kids can help you cook and serve the food. It’s also a great opportunity for them to use their “dinner with the Queen” table manners. And of course, they can help you clean up afterwards too. Participating in family responsibilities helps develop a child’s social and emotional skills and improve their language skills while strengthening family relationships and bonds. 35 07/31/18 “It’s day 2 of Healthy Highway game prep! Just like yesterday, if you have a Playcation Kit, you have the materials for Enfield’s very own game: Healthy Highway. Today, your kiddos need to create the game avatars (the people game pieces by cutting them out, coloring them and using paperclips to give them some weight) and to prepare the board itself. We recommend glueing the paper game board to recycled cardboard like a cereal box. If your kids are creating their own game, they can take time today to finish what they started yesterday and practice playing the game to work the kinks out.” If they are preparing Healthy Highway for play, then they are experiencing the idea of “some assembly required.” This also gives kids the chance to experience anticipation and delayed gratification. And they get to practice skills like cutting and glueing. 36 08/01/18 “It’s Family Game Night! If you’ve been working on Healthy Highway or if your family invented their own game, it’s time to play! If you’ve skipped both of those ideas, consider dusting off an oldy-but-goodie like checkers, or go fish, or charades! 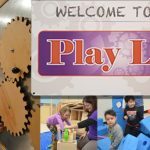 As a bonus, the Play Lab is open at Stowe (117 Post Office Rd.) today from 10:00 – 11:30. Come on down and experience this incredible play space right here in town! If parking is a challenge, there is a lot in the back of the building. You’ll want to walk around to the front and use Door 25.” Playing games encourages unhurried and enjoyable family time, good sportsmanship, conversation, vocabulary, literacy and understanding diversity. 37 08/02/18 Come play at Enfield’s very own Luau! This Hawaiian themed play event will make you think you are in the tropics! We’ll be dancing the hula on the Town Green from 2:00 – 3:30 (weather permitting, of course.) It’s free and fun for all ages! An event like this one gives kids a peek at a different culture to help build their understanding that people have different traditions in different places, even here in the United States! It builds language skills, creativity, fine motor skills, and more. 39 08/04/18 Today, consider taking a Youtube tour of some fun origami shapes, like a frog that really jumps, a paper cup and many others. Here are a couple of links, but there are many. Post pictures of your favorite shapes! The inventor of Kindergarten, Friedrich Frobel, recognized that the ancient art of origami could be used as a playful teaching tool. 40 08/05/18 Have the kids grab a blanket and watch planes fly overhead! Where might they may be going? If you want to do so, check your smart device’s app store for free apps that tell you where planes flying overhead are going. An activity like this one encourages discover, imagination, discussions about geography and other cultures. It also encourages dreaming and goal-setting. 42 08/07/18 We have a Play Event today! Bring the kids down to the Stowe Early Learning Center from 11-12 to see how lunchtime can be an opportunity to play! As parents, we all know that kids often need to try new foods many times to develop a taste for them. Giving them opportunities to do so means they have opportunities to taste a world of flavors, learn about the different cultures that embrace those flavors, practice new vocabulary and more. 43 08/08/18 Today, consider helping your kiddos find a place in your home to host an epic build for a week. It could be a town built from blocks or LEGO, blocks. Instead of putting the materials away at night, leave it up for a few days and encourage the kids to come back every day and improve it or simply engage in creative play. How can they incorporate mixed media like blocks, small action figures, their origami animals from previous days or recycled materials? Child-directed open play is super important. It builds self-confidence, encourages creativity and perseverance and gives the kids a chance to figure it out, whatever “it” is. 44 08/09/18 Crank up the tunes and dance it out! Kidzbop has great kid-friendly versions of todays hits or put on your favorite dance song and introduce the kids to some oldies but goodies! Spotify and Pandora are free music services for smart devices if you don’t have access to a radio in your home. Dance is great exercise and it encourages expression through movement. The music is an opportunity to talk about different sounds, instruments, rhythms and more. 45 08/10/18 Join us at the Central Library for a drive in movie. Come early and build your own vehicle to sit in during the show. While supplies last, of course!) In addition to being nice family bonding time, watching a movie outside is a different experience. And tonight, the kids will have a chance to practice their creativity and drawing skills while building. 47 08/12/18 Tonight is the peak of the annual Perseid Meteor Shower. Consider taking the kids outside after dark. To see the shooting stars even better (or with a fun prop) consider using the magnifiying glasses in your Playcation Kit to make a telescope. Follow the link for directions. Doing something unusual like heading out to watch the stars encourages an interest in the night sky, and discussions about sciences like astrophysics and astronomy. It gives your kids a chance to plan for the event, think about items need to pack up (a blanket, maybe a snack) and delay gratification by having to wait for night. It’s also wonderful family bonding time. 48 08/13/18 Host an Open Mic Night (or morning, or afternoon.) The kids can gimprovise a microphone! Everyone can take turns performing a favorite song, a poem or a joke cheering! An activity like this gives everyone a chance to be the center of attention. That’s great for helping those who might be shy and those who love the spotlight. Kids learn to take turns, be respectful audience members and supportive friends, while also getting a chance to bask in applause. 49 08/14/18 Have the kids make a blanket for their favorite stuffed animal. If you have a Playcation Kit, there are two pieces of fleece in there for this purpose. Follow the link to video instructions. Making a blanket is great fine motor skill practice. It’s also an opportunity for kids to practice a skill like empathy and engage in creative play. 50 08/15/18 Visit the Enfield Farmer’s Market. Let the kids explore the vendors on the Town Green and see what kind of goodies they can find. There are real-life farmers to talk to, music to enjoy and the occasional visit with a goat. A trip to the farmer’s market is a great chance to talk about healthy eating, where food comes from before it gets to the grocery store, and the importance of supporting local farms. 51 08/16/18 Join our Play Event Today! We’re having a Raingutter Regatta. Come on down to the Playground at the Lamagna Center, build a boat and race it. Fun for all ages. An event like this one gives kids a chance to experience science come to life. What kinds of things float? What happens when wind is applied? How do you catch the wind to generate energy? And it gives them a chance to practice their good sportsmanship. 52 08/17/18 When was the last time you made the time to go out side and have a catch with the kids? For me, I’ll admit it has been quite a while. If you can, take 20 minutes today to toss a ball around with the kids. Maybe a frisbee. Maybe something else – like an empty drink bottle weighted down with a few rocks. Or teach the kids one of your favorite childhood “ball” related games. Hacky sack, anyone? Tossing a ball (or whatever) around is an activity that gives kids a chance to practice their gross and fine motor skills, hand eye coordination, build muscle, increase flexibility and otherwise promote physical activity. It’s also a chance for some joyful parent-child interaction and to enjoy the outdoors. 54 08/19/18 Did you ever make one of those plastic lace/gimp lanyards when you were a kid? Maybe at camp? Time to share that tradition! Who remembers how to do the box weave? Or butterfly? If you have a Playcation Kit, there is enough gimp in there for 2 lanyards, and two lanyard hooks. If you want to, you can follow this link to a video for instructions. Weaving a lanyard encourages creativity, fine motor skill, planning, and decision making. It also gives kids a chance to be persistent. 56 08/21/18 Did you know that there are many styles of paper airplane to be folded? Give the kids some paper and let them figure out who to make a plane that goes the furthest, goes in a circle, or plummets to earth the fastest. Follow this link to directions. 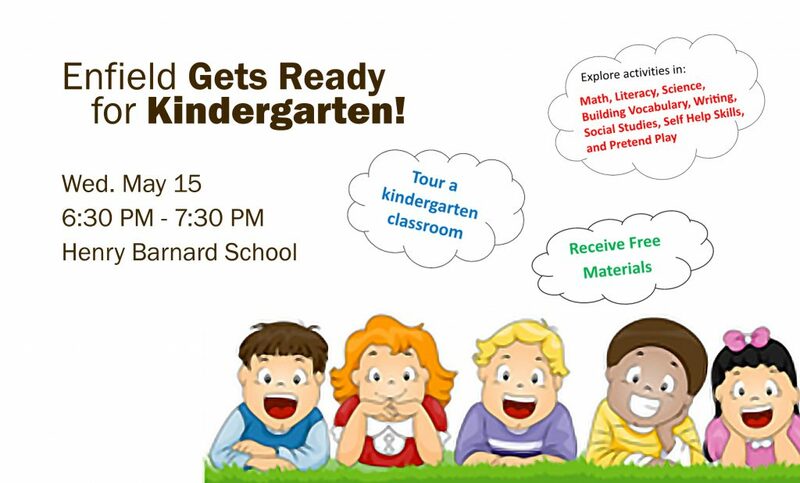 In addition to practicing skills like fine motor, sportsmanship and the science of wind-resistance, this is an opportunity to talk about what being successful means. Success can be measured in so many different ways. It could the plane that goes the farthest, but it could also be the plane that goes the shortest distance. 58 08/23/18 With school starting next week, consider connecting with your kid’s school friends (and their families). You could plan a picnic at the playground at school. In addition to being fun and social, this can help alleviate any anxiety your little ones might be feeling about going back to school, or starting at a new school. 60 08/25/18 Have the kids try an art project with unusual media. They can paint on wet glue with food coloring and see what happens when it dries! Maybe they could make decorations for the upcoming holiday season. This activity fosters creativity, open-ended designs, bilateral coordination, focus and concentration, as well as problem-solving skills. 61 08/26/18 Introduce your kids to the art of crocheting by having them make a bath scrubby square. A couple hundred years ago, all children (boys and girls!) would spend quiet time before the fire knitting or crocheting socks and other things. If you have a Playcation Kit, there is a crochet hook and yarn in it for this purpose. Follow the link to video directions. Once kids learn the most basic of stitches, they can create all kinds of things either with directions/pattern or creatively on their own without a pattern. They will practice patience, creativity, fine motor skills, new vocabulary, planning, persistence, and a sense of accomplishment. 62 08/27/18 Join us at a Play Event today! Let’s end the summer swapping stories, singing silly songs around the campfire and enjoying s’mores! We’ll be at the Weymouth Fire Department at 6:30 pm with a campfire burning and s’mores materials on hand. Telling and listening to campfire stories is a tradition as old as humankind. Kids might learn new vocabulary, practice active listening skills, and gain experience public speaking. 08/29/18 First of Day of School!